On September 2006 the BBC on the Friday Night with Jonathan Ross show launched the Isis puzzle the first puzzle in a series of five combined with the greatest global puzzle adventure in the world. The Isis puzzle created by Andrew Reeves a keen puzzle and close up magic enthusiast had a dream in 2002 to build a five puzzle series called the Isis Adventure puzzles. It took five years of work to design and produce the Isis puzzle before it was shown to millions on BBC. Since then several new puzzles have been designed and manufactured by Andrew and thousands of keen puzzle enthusiasts are now proud owners of the Isis Puzzle series. Andrew in 2007 and 2008 presented the Isis puzzle to the dragons on BBC “The Dragons Den”, two dragons offered £100,000 each to be involved but asked for too much equity. 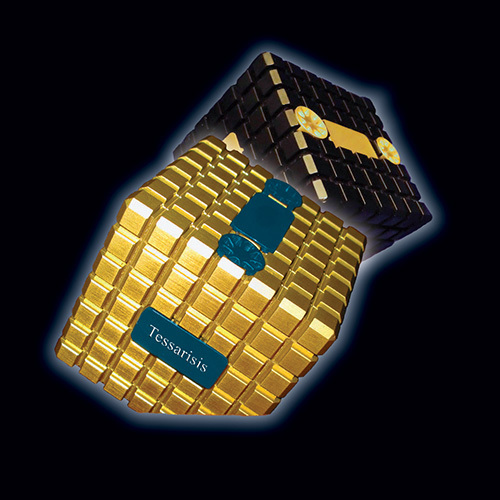 The company moved forward with production of the Isis puzzle manufactured in the UK and international orders flooded in. 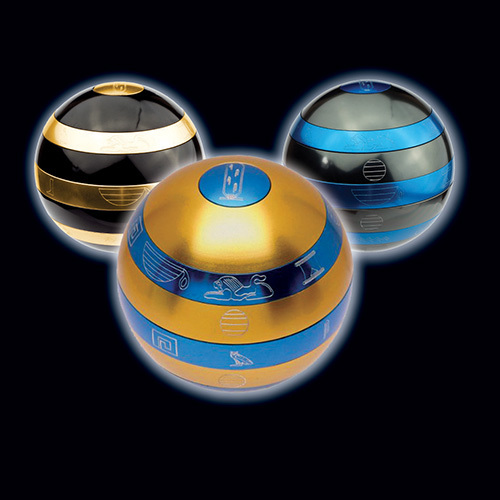 The biggest single order of 8000 units sold to a major retailer in the USA sold in less than 10 weeks and became a top 10 selling product in the USA in 2008. 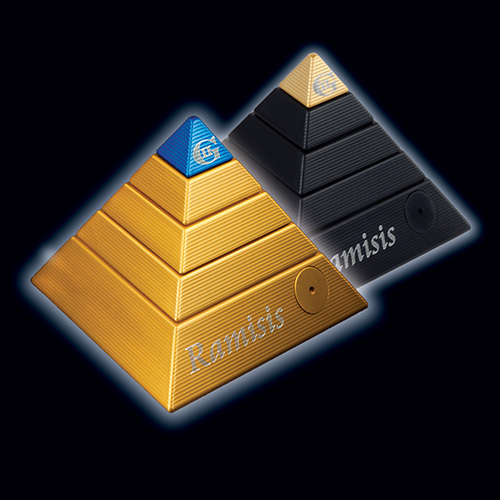 Trade shows in the UK and USA brought invigorating interest in the company and its products and the Ramisis puzzle was developed and launched in 2009 to keep up with demand. Trips to LA, NY, San Francisco, Chicago and Texas allowed the treasure hunt to be expanded with the Isis coins being hidden in places like the Empire State Building and the Statue of Liberty. We have gone on to hide coins all over Europe and recently in Egypt itself, the land of the pyramids and the concept behind the Isis Adventure. Since the launch of the first pyramid, thousands have been won in prizes with the Tutankhamun exhibition in London in 2007/8 promoting a new search for a £2000.00 award. The Platinum pyramid was then launched in 2009 with an even bigger challenge and bigger prize of £10,000 available to the first person to solve the riddle… this exciting challenge is ongoing. 2010 has now seen the launch of the third puzzle in the isis adventure series “The Copernisis”, based on the De revolutionibus orbium coelestium (On the Revolutions of the Heavenly Spheres) the seminal work on the heliocentric theory of the Renaissance astronomer Nicolaus Copernicus (1473–1543). The puzzle has over 130 million combinations and therefore can only be solved by using the clues provided on the puzzle. 2011-2015 will see the introduction of Isis IV and finally Isis V to complete the Isis adventure series of puzzles with an ultimate award of thousands to the first person that solves the Isis adventure series.